Use the Fitch Fuel Catalyst just once and discover how your engine will start easier, burn less fuel and increase overall performance. 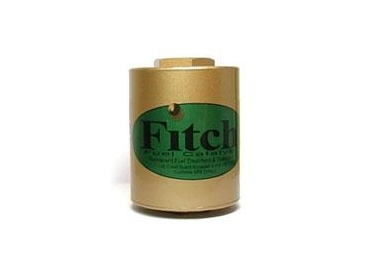 The combustion improvement caused by the presence of the Fitch Fuel Catalyst produces a number of benefits. Because the fuel is consumed more completely, less fuel is burned, emissions are lowered and power is increased. In addition, engine oil remains cleaner, longer because blow-by is reduced. Because carbon build up in the engine is also reduced the life of the engine is enhanced. The overall result is a more efficiently running engine. Use the Fitch Fuel Catalyst just once and discover how the engine will start easier, burn less fuel and increase overall performance. In-Line vs Drop In Both in-line and drop-in catalysts work as well as each other. The main advantage with the in-line being easier removal and transfer to a new vehicle (with similar engine capacity) should you sell. In-Line applications are more cost effective if your vehicle has more than 1 fuel tank.